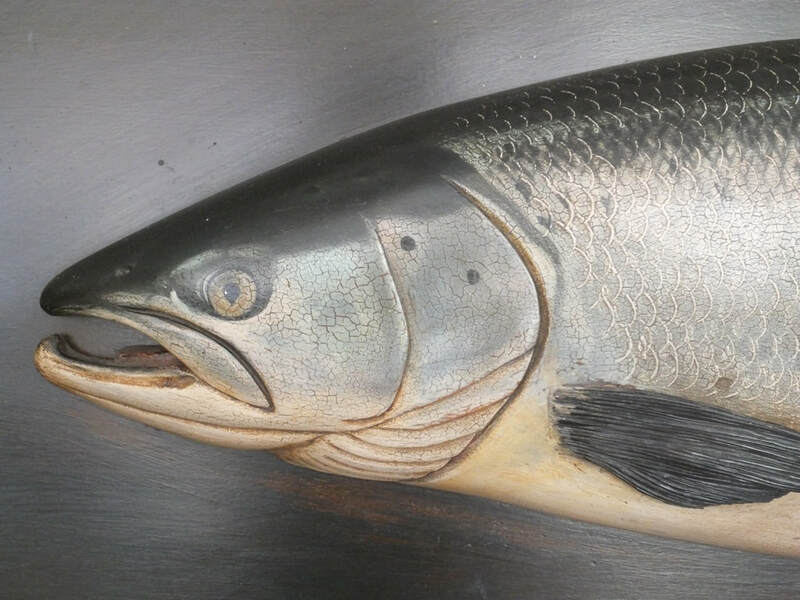 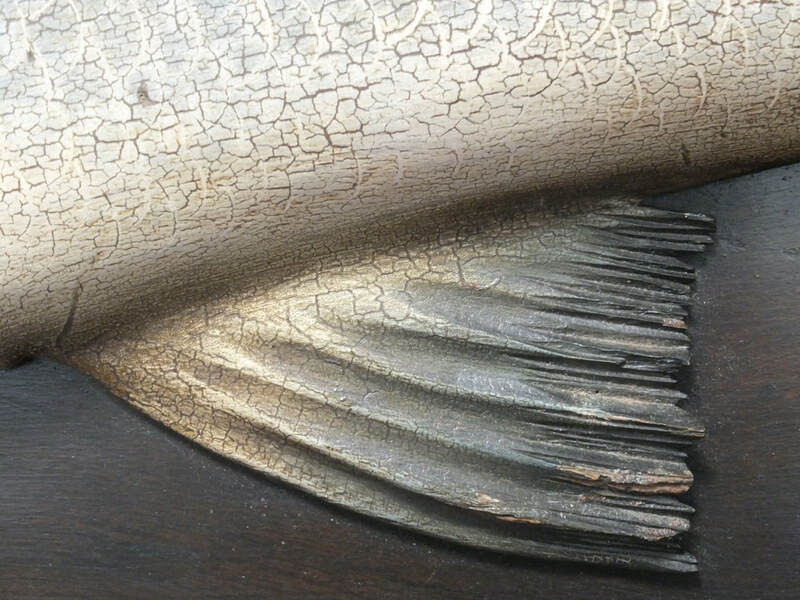 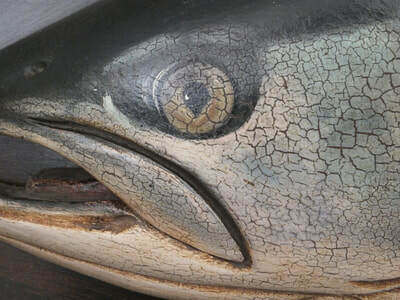 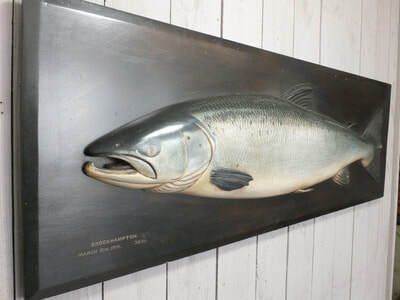 This exceptionally rare trophy was carved by John Tully and painted by his wife Dhuie. 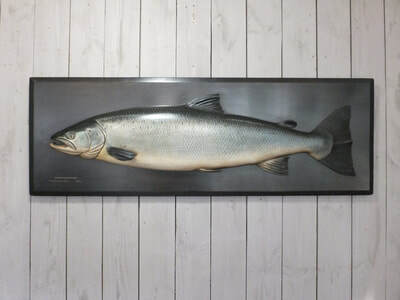 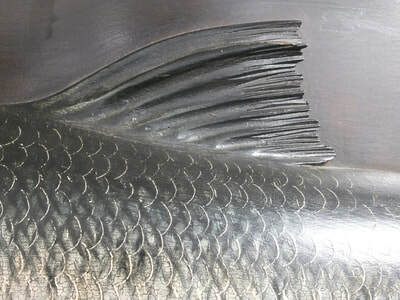 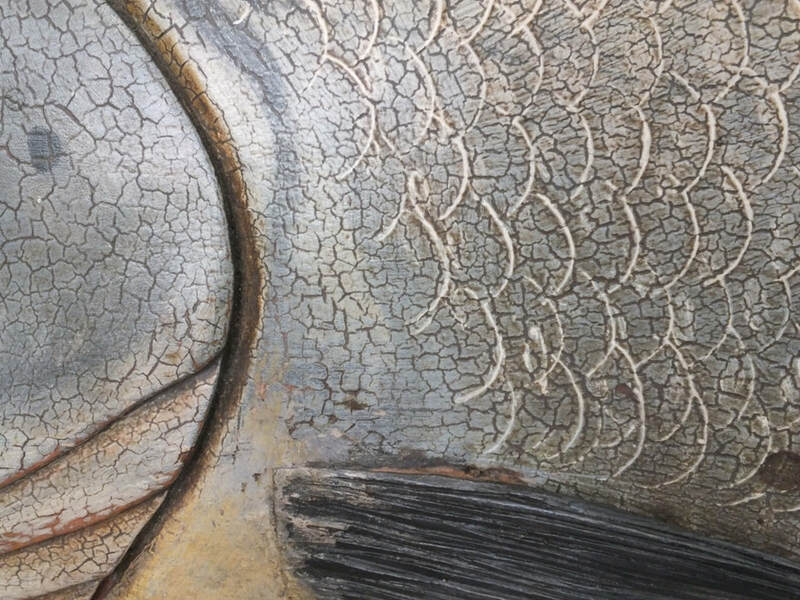 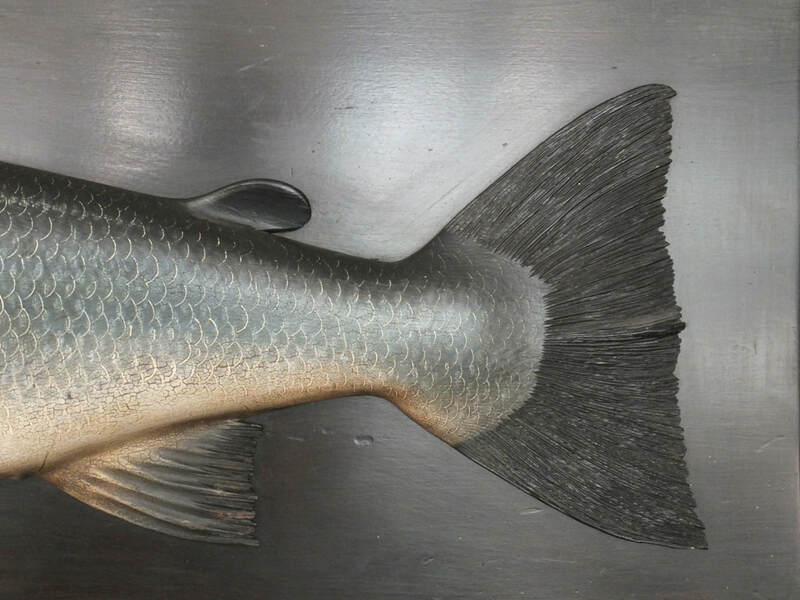 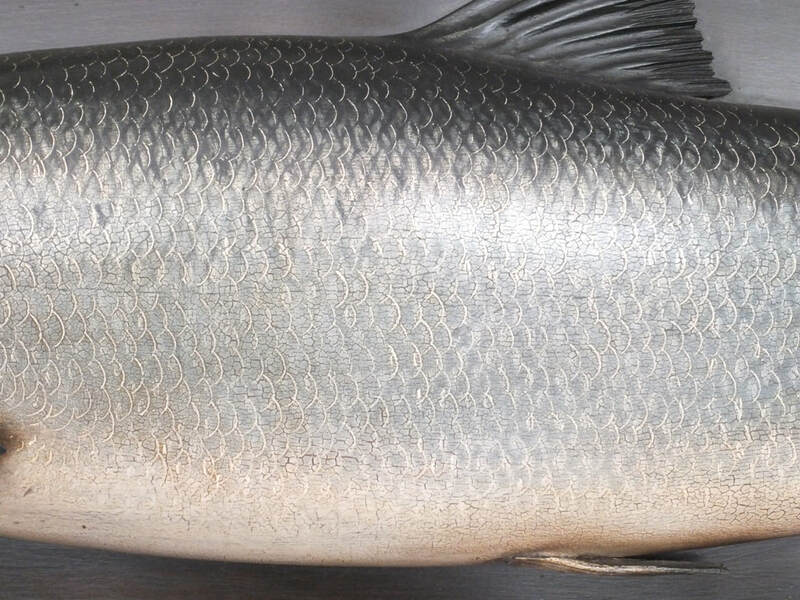 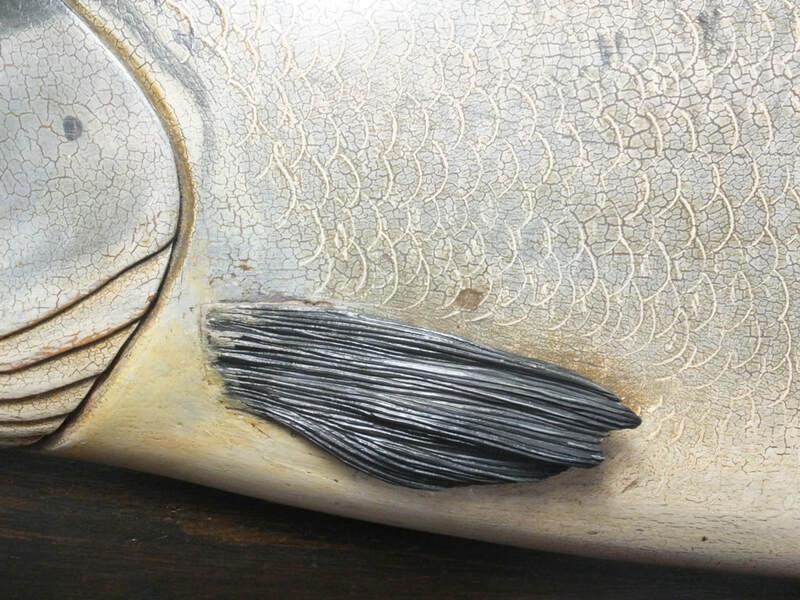 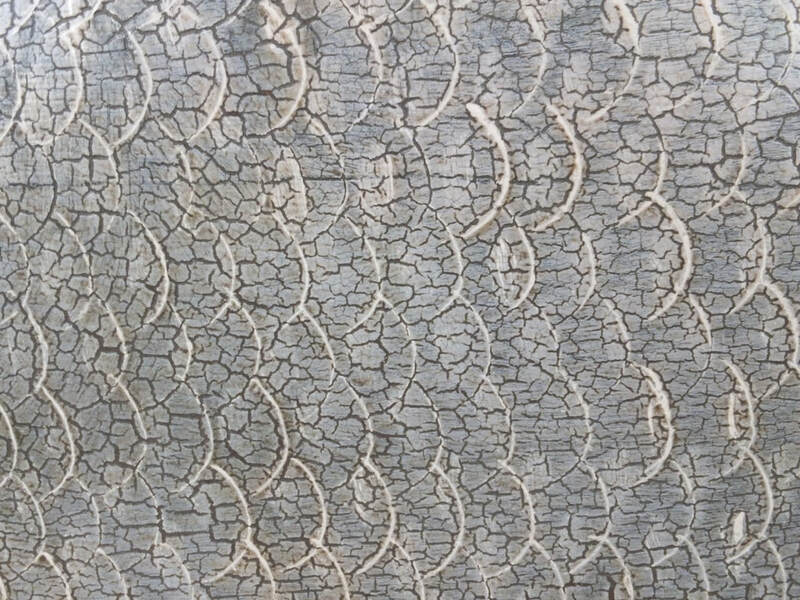 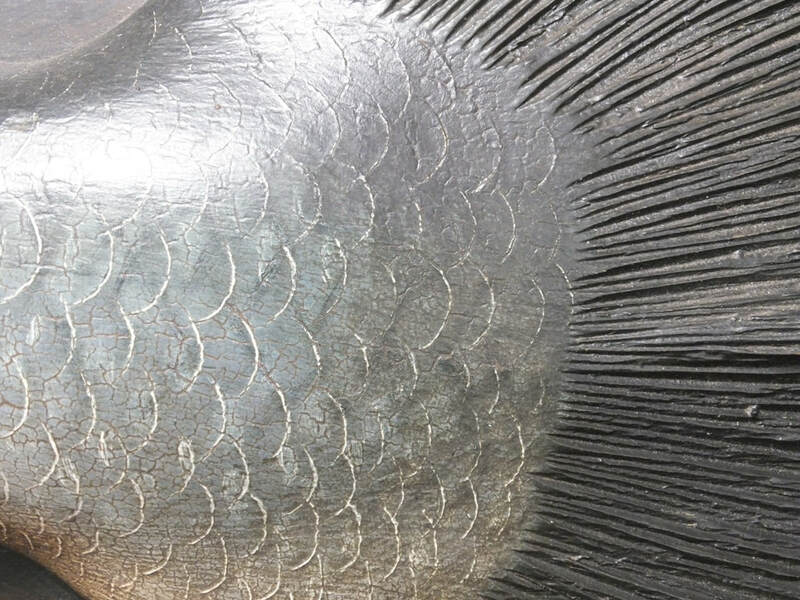 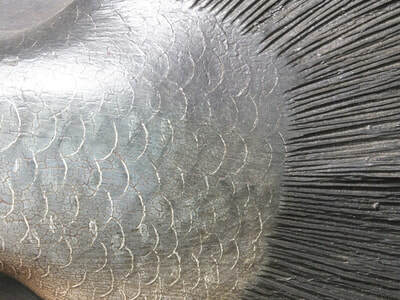 The wood carved body bares all the hallmarks of Tully's naturalistic handling especially in the rendition of the fins, whilst the mirrored silver skin shimmers with scaly detail. 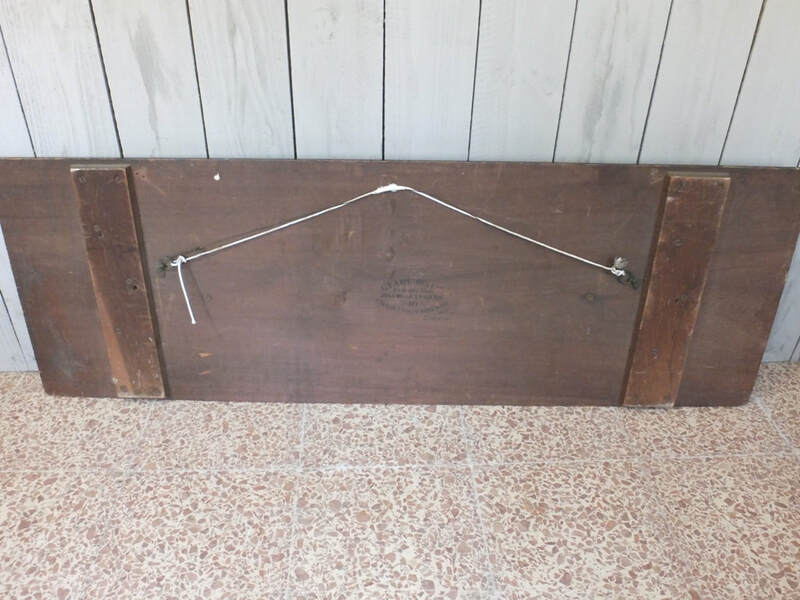 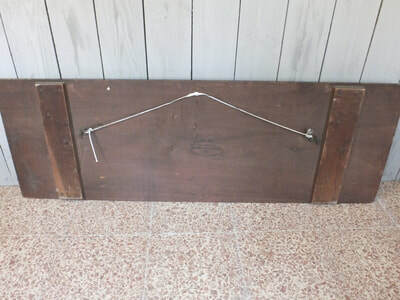 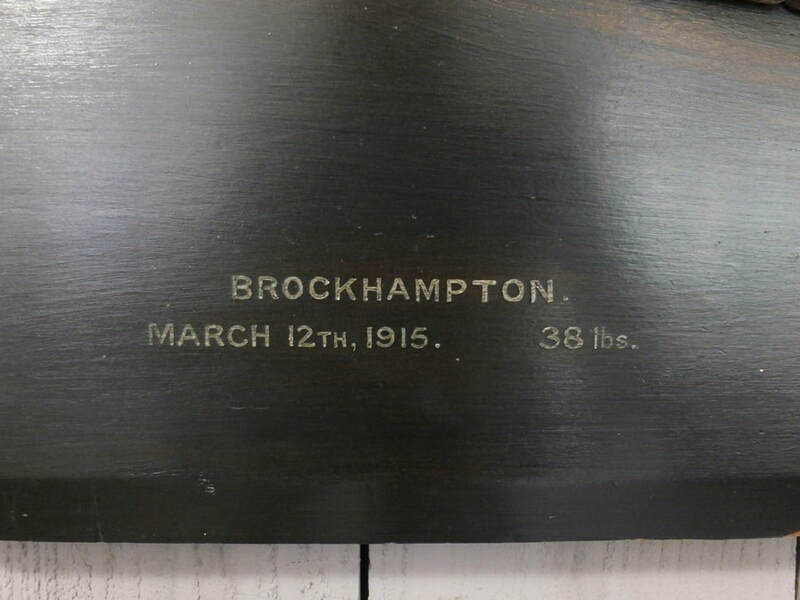 Mounted on an original back board bearing a date of 1915 and a weight of 38 lbs. 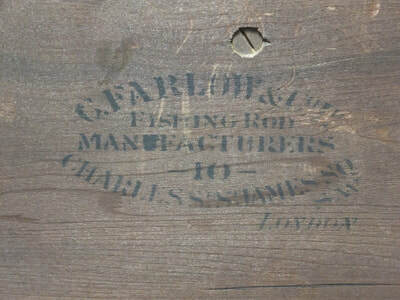 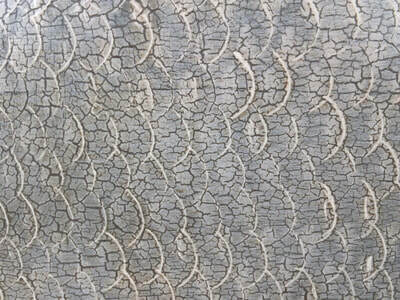 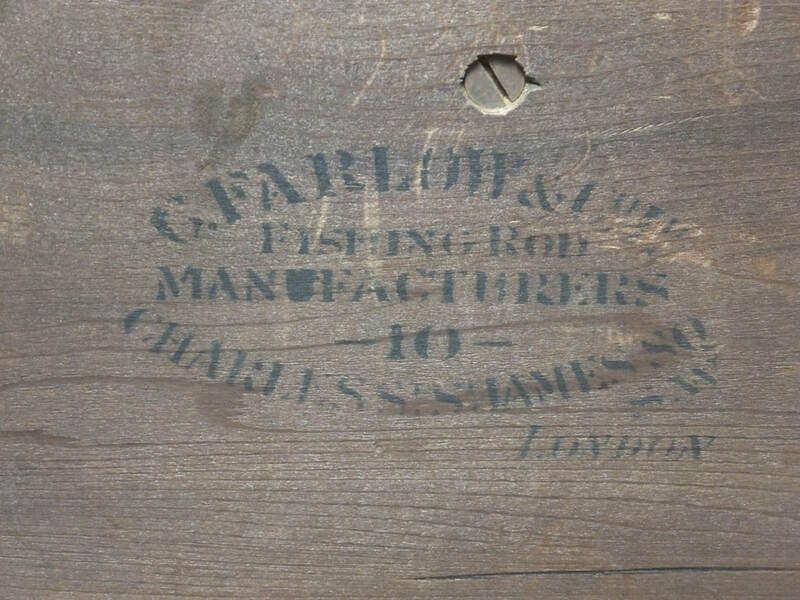 The reverse has the original retailers stamp of Farlow and Company London.